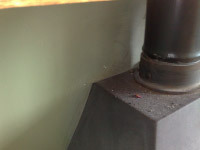 When they’re installed correctly, solid fuel stoves and flue systems are safe and reliable. Too often however, people dismiss building regs as over protective and ‘not really relevant to me’. 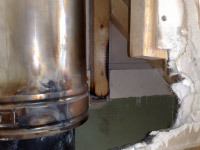 Insurance companies and private individuals sometimes need an experienced opinion on an installation. On this occasion no-one was hurt and there was only a little smoke damage to deal with. 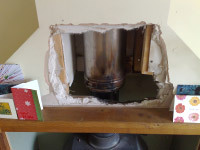 The builder had built if for himself and had installed twinwall flue. However he disregarded the appropriate spacing from combustibles because it was more convenient. 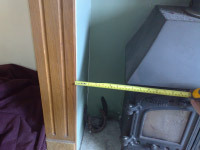 The stove was also sitting against a 2×2 timber stud wall. 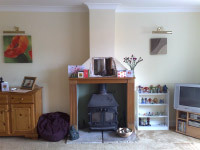 The buyers’ surveyor hadn’t even spotted it wasn’t brick construction in his report. What was wrong with the installations? In what way(s) does it fail to meet building regs? 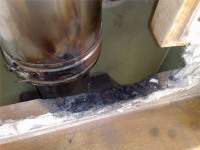 Was it reasonable for a surveyor to have failed to spot the faults? (In My Opinion) or were they so elementary that they should have been obvious? Had they paid for a poorly done job and would therefore have grounds for a refund?